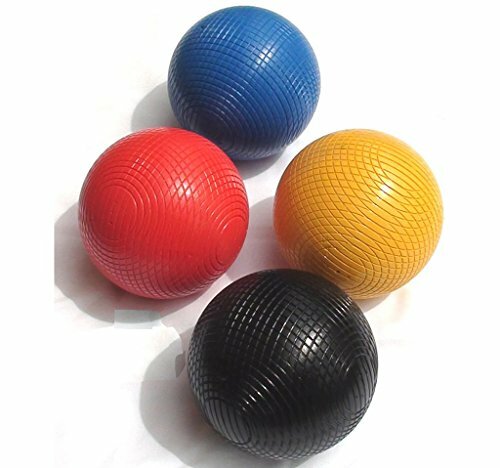 A set of 4 quality plastic croquet balls from Garden Games. These balls weigh 12oz and are in first colors (black, yellow, blue and red). Plastic croquet balls are better lasting and more consistent through temperature and humidity changes than wooden croquet balls. Garden Games produce full regulation size composition balls in both 12oz and 16oz weights - the 12oz balls are recommended only for domestic and light recreational use. These 12oz composition balls are presently only available in 1st colors.